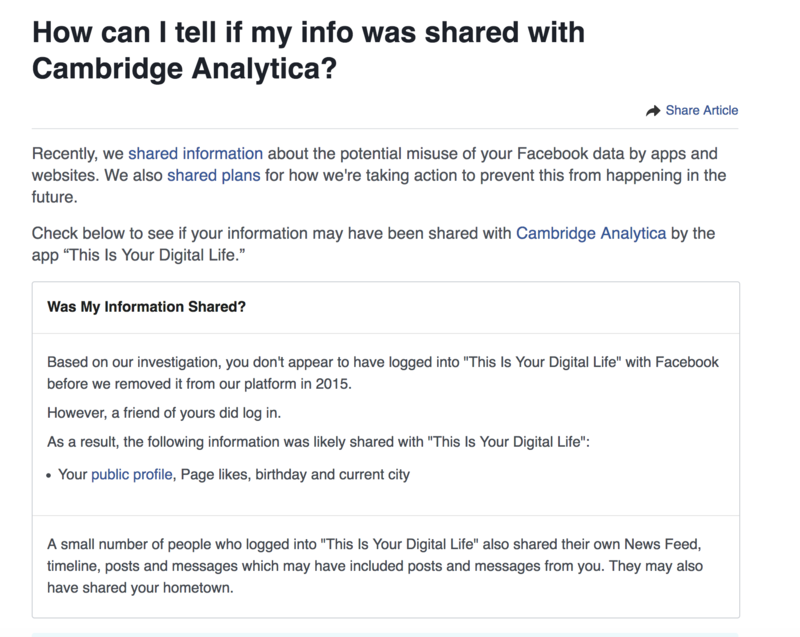 How can I tell if my info was shared with Cambridge Analytica? Want to see if your Facebook data was shared with Cambridge Analytica? Find out via a dedicated link. 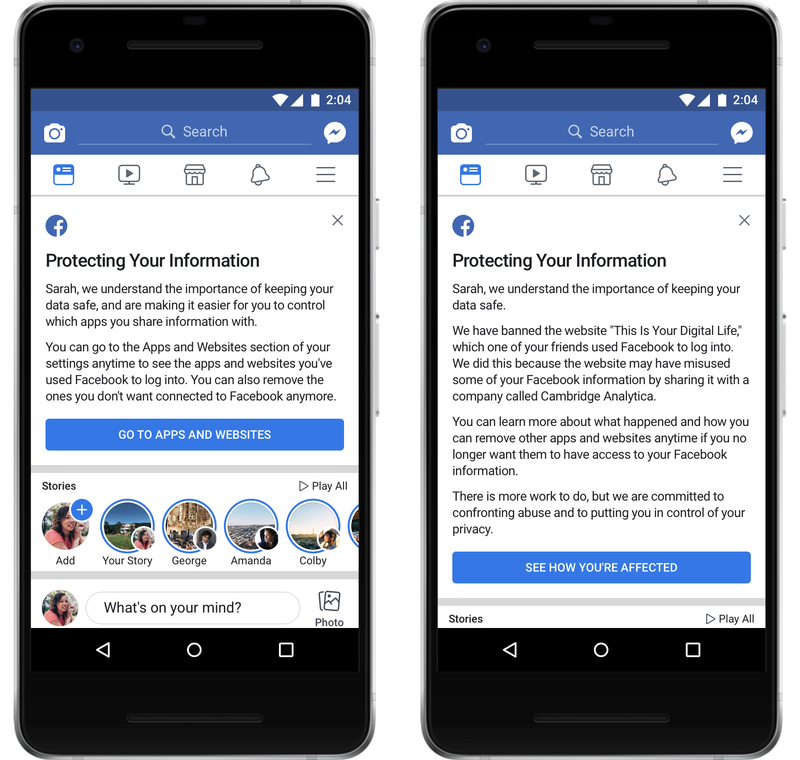 Facebook posted a new link to its Help Center today to let all 2.2 million people who use the social site know whether they’ve been breached. No matter what — be sure to go through all the 3rd party apps you’ve signed into using Facebook. From there, scroll down to Apps to review everything connected to your account. Edit who sees each one, and delete any you don’t want anymore. Go through each app and either delete, edit, or view the information you share with it.